Led the team in 3-pointers made as a senior, hitting 54 on the season. She hit three or more treys in nine games. Finished with 129 career treys, justing missing the Lady Vols’ all-time top 10 by four. 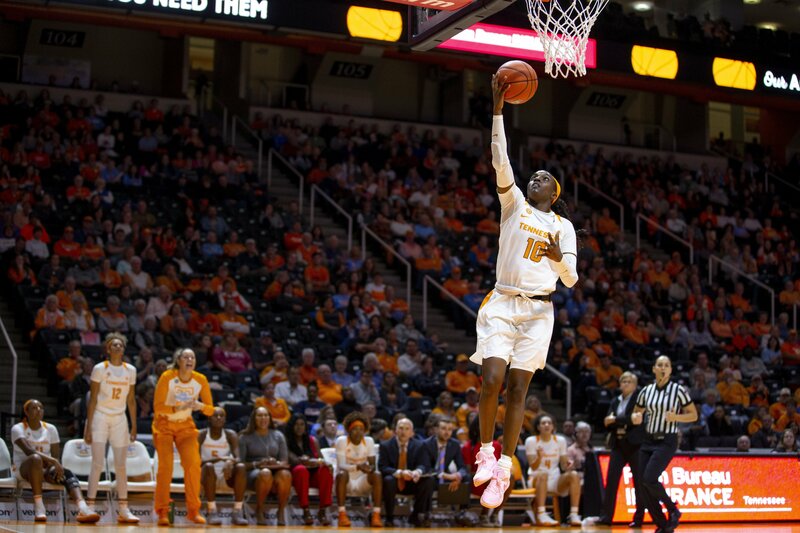 Was UT’s third highest scorer in the 2018-19 season, averaging 10.8 ppg and leading the team in scoring on seven occasions. Started 27 games as a senior, averaging 29.9 minutes per contest. Hit a career-high seven treys against ETSU, tying for fourth-most in a single game by a Lady Vol while scoring 23 points. Started every game for Tennessee during the 2017-18 season, playing 27.5 minutes per contest. Averaged 8.2 points, 4.0 rebounds, 2.2 assists and 1.0 steals. Hit a team-high 50 treys on the season and was UT’s leading three-point shooter on 19 occasions. Scored in double figures 13 times during her junior season. Played in all 32 games as a sophomore, starting in 19 of the contests and averaging 4.7 points and 1.8 rebounds per game. Improved her 3-point shooting, connecting on 32.9 percent of her shots from deep and leading the team in threes made six times during the 2016-17 season. Stepped up her play in her second season, scoring at least five points in 14 games after not scoring more than four points in any game during her freshman year.